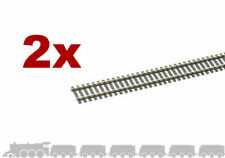 An ideal way to extend your new Train Set or existing layout. 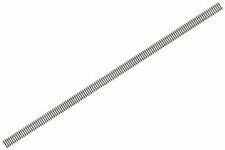 Tracksetta OOT10 Track Laying Tool 10" Straight. 254mm. OO Gauge. 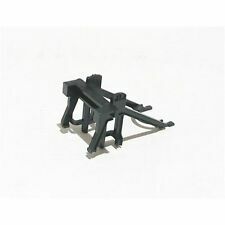 Hornby Remote Uncoupler Unit (R8244). 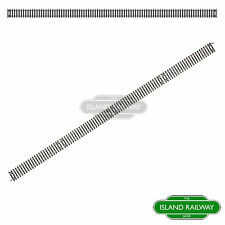 Fits where two Hornby R600 straights join or half way along a Hornby R601 Double Straight. For electrical operation use an R8243 surface mounted point motor or an R8014 point motor which is required to be fitted beneath the base board. HORNBY R601. ©1999-2019, Westport Collectables. Do not duplicate or redistribute in any form without prior consent. 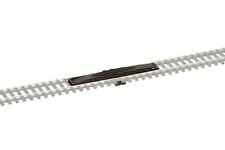 5 out of 5 stars - HORNBY R601 365mm DOUBLE STRAIGHT TRACK. NEW. 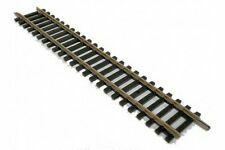 34 product ratings34 product ratings - HORNBY R601 365mm DOUBLE STRAIGHT TRACK. NEW. 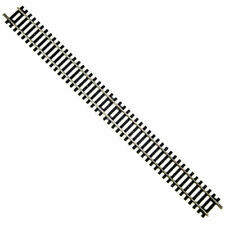 The two rail sections within the unit are bonded together by a small section of wire, to ensure electrical conductivity. Currently we have over 10,000 products available on line. The cheapest way of transporting will be chosen. AS NEW JUST REMOVED FROM A LAYOUT. OFFICAL HORNBY. There is 11 of these available buy it now price is for 1.they are used so will need a pretty good clean. 10 x PECO SL100 00 Scale Flexitrack Nickel Silver Code 100. Condition is Used. Dispatched with eBay delivery – Shutl 2-3 days. Hornby Train Track Points Curves Straight Job Lot Collection Scrap. Condition is Used. Dispatched with Royal Mail 2nd Class.